BERLIN -- Volkswagen AG made a mandatory bid for MAN SE, valuing it at 13.76 billion euros ($19.79 billion), after increasing its holding in the truckmaker as VW seeks to intensify cooperation between the two companies and Scania AB. VW offered 95 euros per common share for MAN, lower than the current share price of 96.89 euros, after increasing its voting rights in the German truckmaker to 30.47 percent, the Wolfsburg-based company said in a statement today. "This low-ball offer serves to start the takeover process but still have maximum flexibility," MM Warburg analyst Marc-Rene Tonn said. The offer was triggered when VW increased its stake above 30 percent, requiring a mandatory bid for the remaining shares under German rules. VW is seeking greater cooperation between MAN and Scania, which it already controls, to increase synergies in procurement, development and production. The two truckmakers have run into anti-trust restrictions as they seek to work more closely together and possibly combine. "To enable a more in-depth cooperation among MAN, Scania and Volkswagen, merger control clearance and further increase of Volkswagen's holding in MAN are required," VW said in the statement. "Therefore, Volkswagen has decided to lay the foundations to overcome these hurdles and to enable a more in- depth cooperation among MAN, Scania and Volkswagen." VW, which before today held 29.9 percent of MAN, aims to raise its stake to a "stable AGM majority," spokeswoman Christine Ritz said in a telephone interview today, declining to give a specific figure. VW is required under German law to make a takeover offer for the entire company after increasing its holding above 30 percent. "The timing of the offer is unexpected, but it was clear it would come eventually," MM Warburg's Tonn said. Volkswagen has been toying with plans to create Europe's biggest truckmaker by merging MAN with Scania, in which it has a controlling stake. 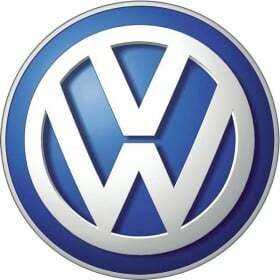 VW aims to be the world largest automaker by 2018.